The lightest racquet in HEAD's 2018-2019 Radical Series featuring PWRail, Graphene Touch, and AFP Technologies. At just 160 grams, this racquet is designed for players with fast swing speeds that demand ultimate performance on every shot. Incredible power and maximum maneuverability is the backbone of the Radical Series. Also available in a great Paola Longoria cosmetic. 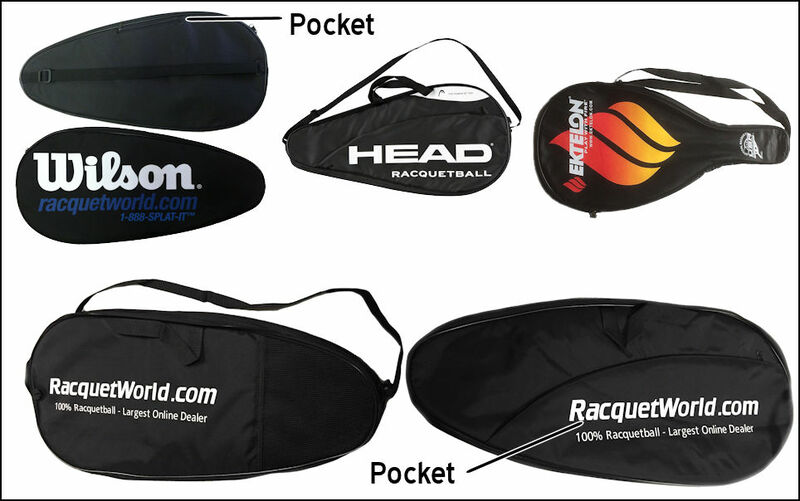 Head is back with its 3rd year of the Graphene Radical series which still continues to the choice of most Head players and a large % of racquetball players in general. This year's focus is on POWER…POWER…AND MORE POWER and it'’'s official name is the Graphene Touch Radical Series! Head engineers have developed a major breakthrough in high performance racquet design. PowerRAILS Technology is an all new advanced beam cross section in the throat area of the racquet. PowerRAILS dramatically increases torsional stiffness delivering unprecedented power with stunning pintpoint control. Once again you will have your choice of 160, 170 or 180 gram weights. The 160 gram weight is designed for the player with the fast swing speed or the younger player and the 170 and 180 are for the slightly older player or a player that could use some extra weight to help get the racquet around. AFP technology allows you to customize your string pattern to maximize your particular game style. With Head’s new bumper system technology you are able to choose between 16/16 (traditional & factory strung) or 12/16 (modified fan pattern) each time you string. I've used top of the line Head racquets for 6 years, which is almost as long as I've been playing. This one is stiffer than any previous, but extends no shocks up your arm. I like a Python grip and Ashaway Powerkill 17 string (great grip on the ball). I'm 70 and they say I should use a heavier racquet, but this hits very hard when I want it to, and I can play for 2 hours straight without arm fatigue. Its light weight allows me to get it where it needs to be to have some great gets. If you haven't played a lot of Head racquets, it may take a little while to get used to the balance, but it feels just right for me - slightly head heavy. Get a Demo and try it out for a few days. If you usually play a 170, get that, but it's well worth the time to try it out. Discovered in 2004, Graphene™ consists of a single two-dimensional layer of carbon atoms. This material has a breaking strength 200 times greater than steel, which makes it the ultimate substance for creating new HEAD racquetball racquet frames with exceptional properties. Graphene™ technology allows for the first time an optimal redistribution of weight in HEAD racquets allowing for the creation of lightweight racquets with balance point never before acheived.